• What details about the way this photograph is composed stand out to you? What roles do light, shadow, and color play? • Why do you think the photographer chose not to reveal the face of the woman? • Photographer Sara Terry notes, “I went to Bosnia with a desire to document the incredibly difficult period when humans move out of war’s desperate struggle to survive, and begin another equally mighty struggle—that of learning to live again.” What is your response to her statement? 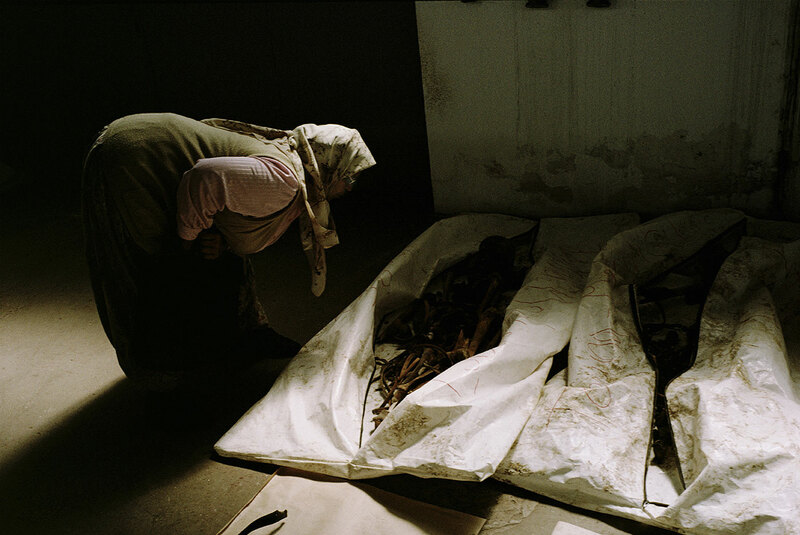 • What role do exhumations play in the aftermath of war? How can this process help with the process of “learning to live again”?